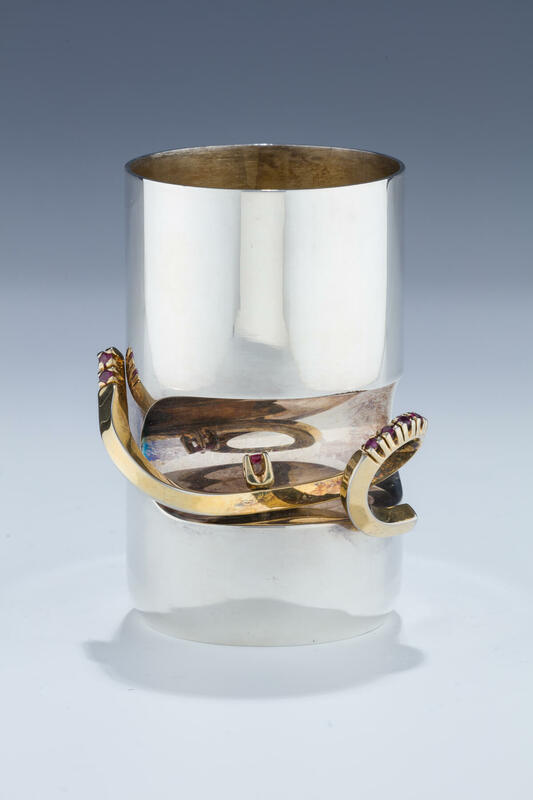 A STERLING SILVER KIDDUSH CUP BY CARMEL SHABI. Israel, 1998. Beaker form. With gilded flowing band set with hand cut garnets. 3.8” tall. Signed.